The Flatiron District, which some have been known to call Silicon Alley, has become a hub for tech startups in Manhattan. 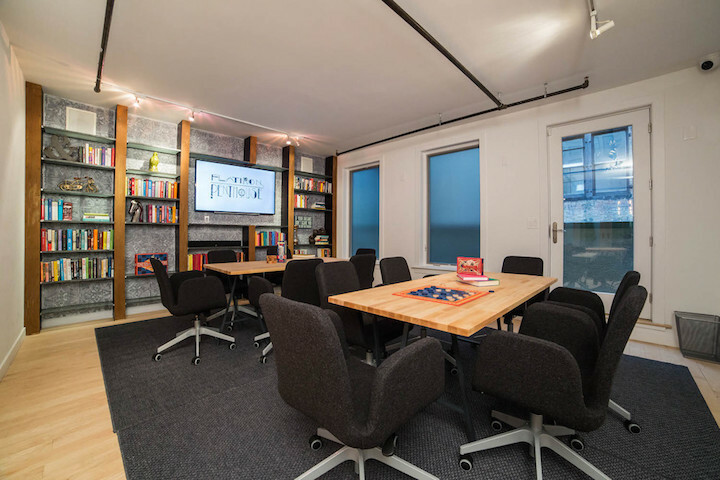 The increase in companies choosing to call the area home means that more employees are looking to take advantage of everything the Flatiron district has to offer. If that sounds like you, we’ve done the research already and have created a list of our Flatiron favorites for you to check out! We’d be remiss if we failed to list Shake Shack as a Flatiron favorite for lunch. The original location of this uber-popular burger chain is located in the heart of Madison Square Park. You can’t go wrong with the traditional Shack Burger, but Shake Shack has also scored major points with their crinkle fries, chicken sandwich, and frozen-custard concretes. 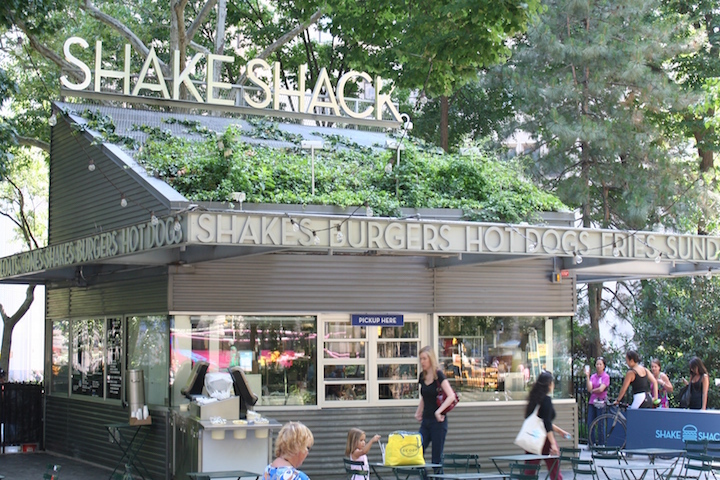 Beyond the delicious food, Shake Shack’s location in Madison Square Park will give you the perfect backdrop to get some fresh air and clear your head. Beware of long lines during the height of the lunch hour rush, but a quick check of their live stream before heading out of the office could help you avoid this problem! 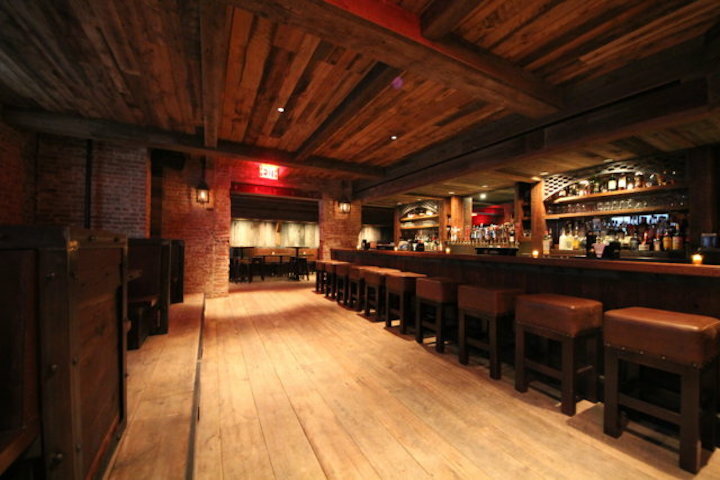 * For more Flatiron lunch recommendations, check out our ‘Best in NYC Lunch: Flatiron’ post. Even if Toby’s Estate didn’t have great coffee, it would still be a coffee shop to visit for the ambiance alone. The clean, all-white, trendy interior reminds you of a cafe plucked straight from the streets of Paris and looks great in photos. Luckily for customers, however, the drinks are as great as the atmosphere. The standouts include the cold brew, the macchiato, and their soy lattes. 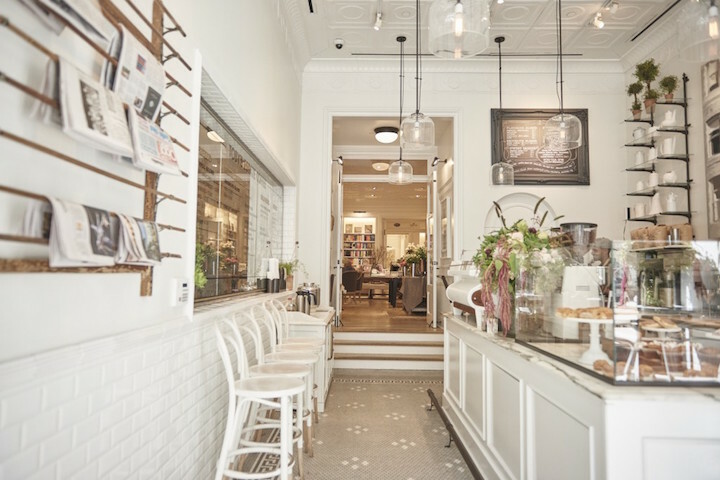 While there isn’t a ton of seating options in the coffee shop itself, we suggest taking your drink with you to peruse the Club Monaco clothing store or Strand bookshop with which Toby’s Estate shares a space. Coffee and a new book? What could be better than that? * For more Flatiron coffee recommendations, check out our ‘Best in NYC Coffee: Flatiron’ post. The Flatiron Penthouse, located steps away from iconic NYC landmarks such as the Flatiron building and Madison Square Park, is a two-story private loft space with an outdoor balcony, terrace, and a rooftop. With the capacity to hold up to 80 guests, the fully-furnished space comes with state-of-the-art features including top-notch audio and video equipment, lounge seating, a conference table, full kitchen, built-in bar, and a passenger elevator. The penthouse also offers a range of in-house services ranging from catering and bar packages to audio and visual crews to ensure that your event runs as smoothly as possible. 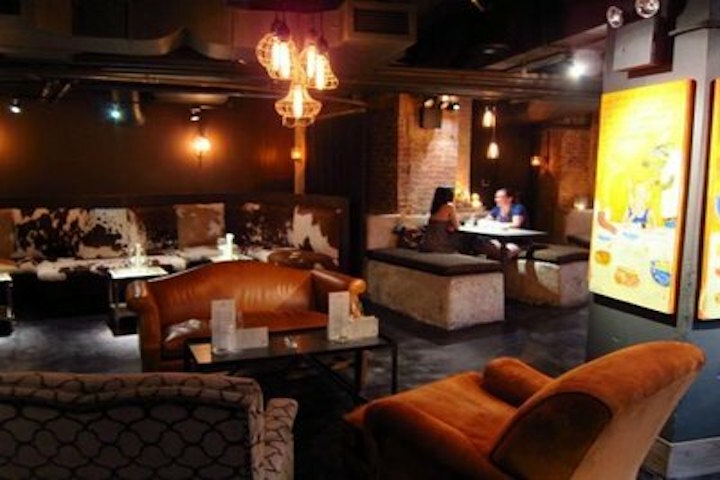 The homey feel of the venue makes it a perfect location for PR events, intimate social gatherings, cocktail parties, and corporate meetings. Madison Square Park is an urban oasis situated in the Flatiron district. 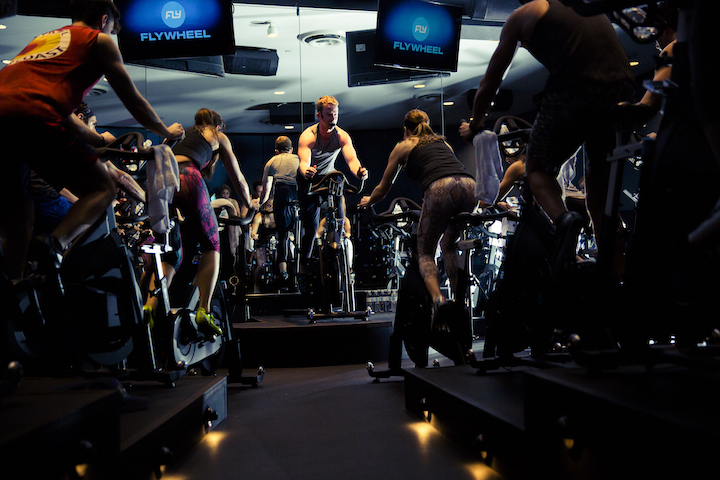 While the area surrounding the park is a bustling entertainment hub, the park itself offers a nice respite from the stereotypical New York City hustle. The 6.2 acre park is a popular lunch hour destination, frequented by many employees of companies that call the Flatiron district home. This should come as no surprise since the aforementioned Shack Shack sits in the heart of the area. Whether you want to sit on a bench and catch up on some reading, take a leisurely stroll, or enjoy an outdoor lunch with coworkers, Madison Square Park can be your perfect escape. 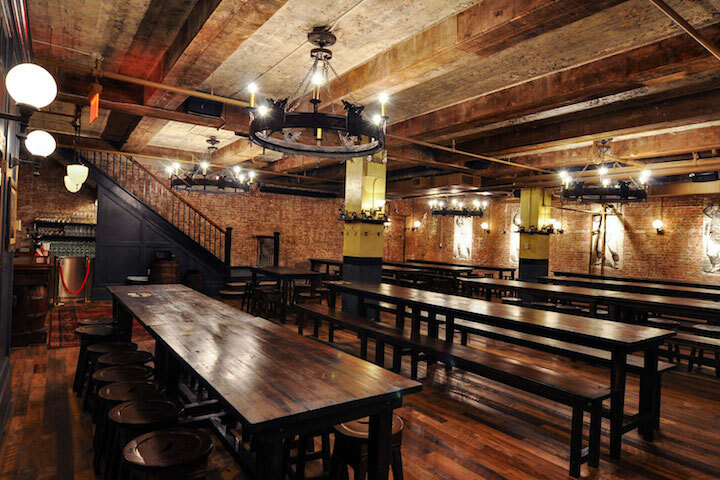 The Cellar is, quite literally, a hidden gem. Tucked away below Beecher’s Handmade Cheese (an artisan cheese shop) is the dimly-lit subterranean hideout that serves up a range of cheese-focused food (and even drinks). The entrance, just a flight of stairs in the back of the cheese shop, is so unassuming that we wouldn’t be surprised if you missed it completely. The decor of the restaurant stays in theme with pictures of animals such as cows, goats, and sheep lining the walls. The restaurant also doubles as Beechers’ actual cheese cellar, and patrons are able to see wheels of cheese being aged behind one of the restaurant’s glass walls. Standouts on the menu include the phenomenal cheese plates (obviously) as well as the “World’s Best” Mac & Cheese, which certainly lives up to its name! Pair any of the cheese offerings with a glass of wine and you’re in for a delicious treat!